The Louisville Leopard Percussionists, an ensemble founded and directed by Diane Downs, has been wowing audiences at national and regional PAS and MENC conventions for several years. Using music arranged by Diane, these youngsters perform with a degree of enthusiasm and skill that is truly amazing. For the first time, these distinctive arrangements are available in print - carefully edited by well-known educator/author Rick Mattingly. Each arrangement is written with a flexible instrumentation based around mallet instruments, drum set, and a variety of Latin instruments. 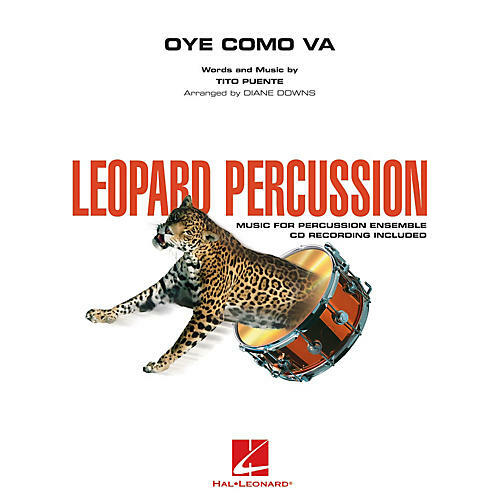 If you are looking to start up a percussion ensemble, or need some entertaining program pieces for your existing group, this series is definitely for you!